The meaning of the word Bahrain is two seas. The meaning is perfect for the city owing to the water that surrounds it. There was a time when Bahrain was famous for trade in pearls. In the middle of Bahrain is the place where Arabs found oil for the first time in 1932. The city has a rich history and many sights of interest too visitors. Car rental is available for anyone who wishes to travel independently to tour these areas at their own, leisurely pace. The Al Areen Wildlife Park and Reserve houses a number of Arabian Oryx, tourists visit it to experience the harsh reality of the desert from up close. It is an experience that will be unforgettable The Bahrain Fort was built in 16th century and has been recently restored. With its Portuguese architecture, the Bahrain fort is a must see, as is the Bahrain National Museum. The Bahrain National Museum is the perfect place to understand and learn more about the past of Bahrain. It is a great place to starting learning more about the traditions and the culture of Bahrain. Of course, if you are looking to soak up a little of that authentic Bahraini atmosphere then a visit to the Souk is most definitely one of the must do things to go at the top of your list of things to do while there. Tourists love to visit the souks around the Bab Al Bahrain. One can always feel the markets to be pleasantly aromatic with smells of sheesa, kebabs and incense. The Gold City in the central Manama is an excellent place to shop for local handicrafts. There are a lot of shops at the Gold City and tourists as well as locals can always be seen bartering for things. Or for something a little different, The Hawar Islands are a 40-minute boat ride away from Bahrain. During the boat ride, visitors may be lucky enough to see the playing dolphins in the Gulf seas. The Oil Museum is a big white building, which was built in 1992. The Oil Museum was built on the 60th anniversary of discovery of oil in order to commemorate the finding the oil and the vast wealth this brought to the region. 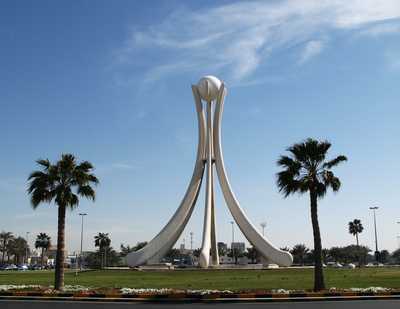 Make the most of Bahrain car hire to visit this and other attractions. There are a lot of shopping malls in Bahrain where one can find luxurious items. Tourists and locals can be seen buying imported items in these malls. The main local speciality here is the pearls, which are used in gold jewellery. From the Village of A’Ali, red clay pottery is very famous and the cloth of Bani Jamrah is popular with locals and tourists equally. Regardless of what you would like to do on your holiday here, choose car rental to make your holiday go smoothly. Not all car rental agents we work with have an office at the airport but offer Meet and Greet service. A representative from the car rental supplier will meet you in the airport terminal at the ‘Meet and Greet’ to take you to your rental car. When traveling we advise to carry some Dinar BHD to avoid any unwanted surprises. At Bahrain airport there are Money Exchange offices in order to change your local currency. The local time code for Bahrain is AST. When traveling to Bahrain make sure to check the local weather conditions in order to avoid any unpleasant surprises. Bahrain has approximately 1,234,571 inhabitants. Rentalcargroup is a price comparison website for all mayor and smaller car rental companies in Bahrain Airport which means we can offer you the best car rental deals. Please be advised that prices and car availability constantly changes, therefore the longer you wait with reserving your car, the more expensive it gets. Manama the capital city of Bahrain offers an interesting mix of Arabian and Persian cultures. Only 2.9 miles from the city center you can find the Al-Fatih Mosque (Great Mosque) this is the biggest Mosque of Bahrain. Worth to visit is the Seef Mall, this is the oldest mall of Manama. In the Bahrain National Museum, the most popular attraction amongst tourists, in this museum you can get to know the history of Bahrain. Moda Mall – Bahrain World Trade Center, an impressive building and a very good place to shop. To escape from the heat visit one of the Water Parks of Bahrain. Last month, the average car rental length at Bahrain Airport was 3 days. The average rental car length at Bahrain Airport is 3 days. The most booked rental car type currently at Bahrain Airport is ECONOMY cars. Last year, the most booked rental car type at Bahrain Airport were ECONOMY cars. How much does it cost to rent a car at Bahrain Airport? Last month, the average car rental price was 101 USD. Last year, how much did it cost to rent a car at Bahrain Airport? Last year, the average car rental price was 87 USD. What is the current average daily price to rent a at Bahrain Airport? Last month, the average rental price was 38 USD per day. How much did it cost to rent a car at Bahrain Airport over the past 12 months? Last Year, the average rental price was 30 USD per day. The car rental companies available at Bahrain Airport are: . See below last 5 customer reviews. Our customers rated Bahrain Car Rental with an average of 8.00 based on 1 ratings. Good price. there was no car of my booking class, therefore it was upgraded to bigger but very old car.